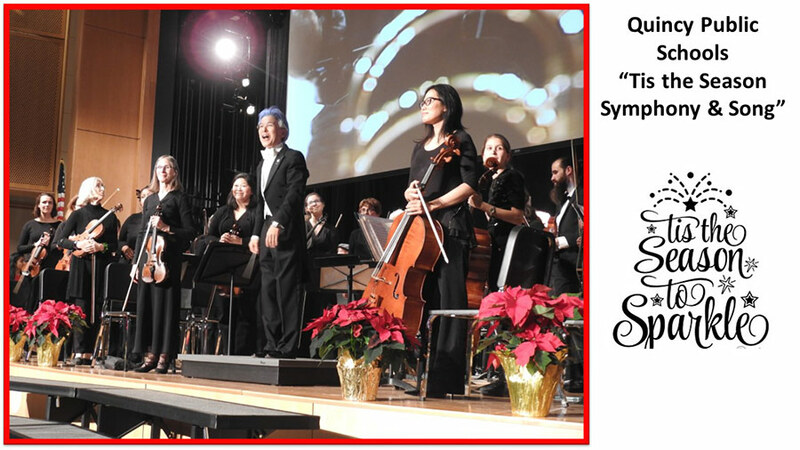 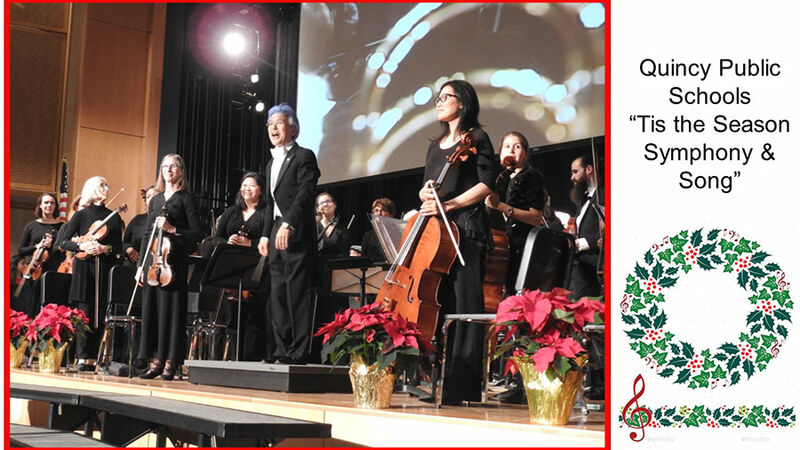 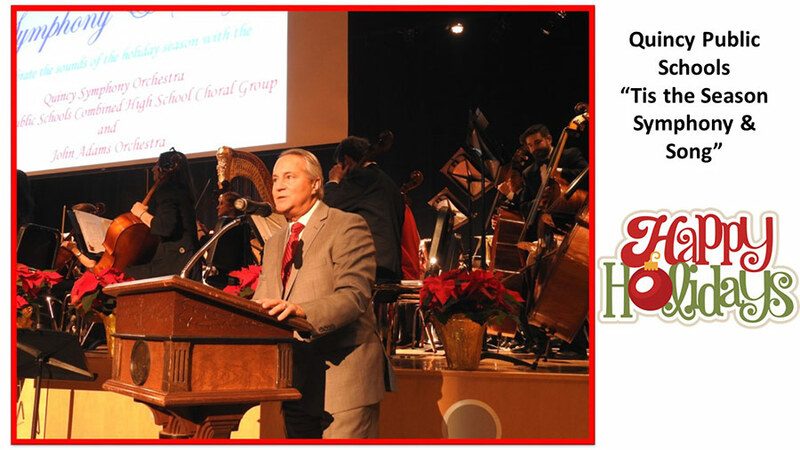 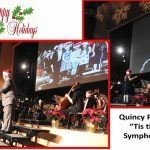 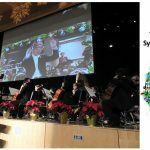 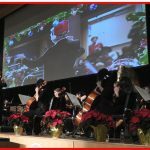 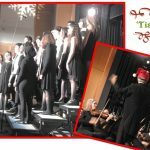 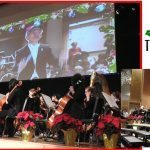 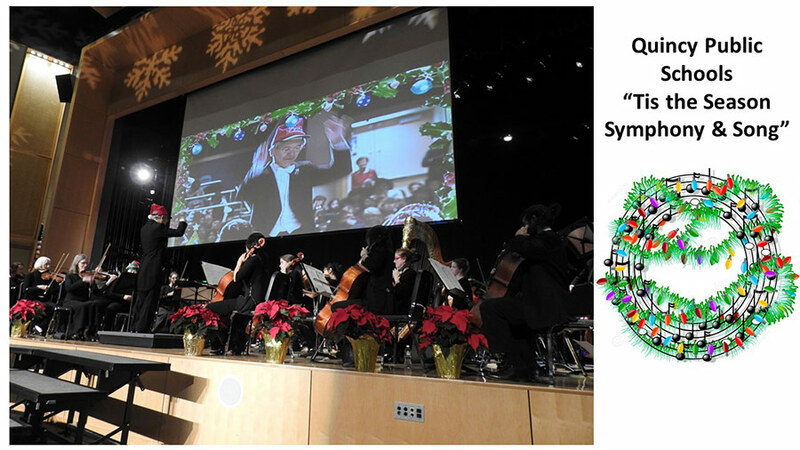 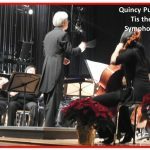 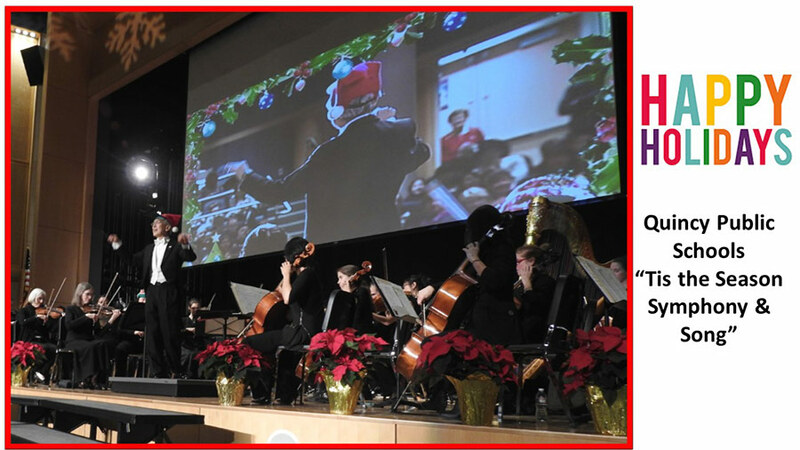 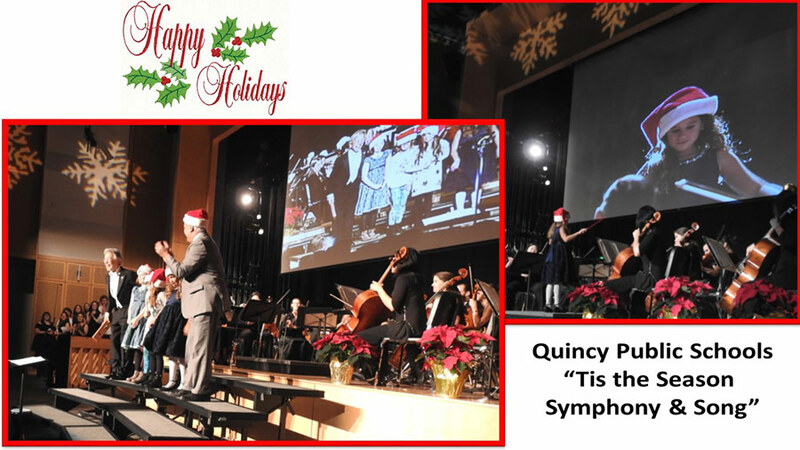 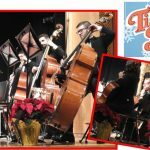 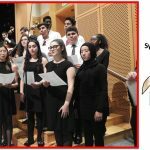 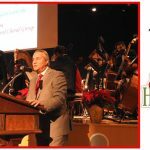 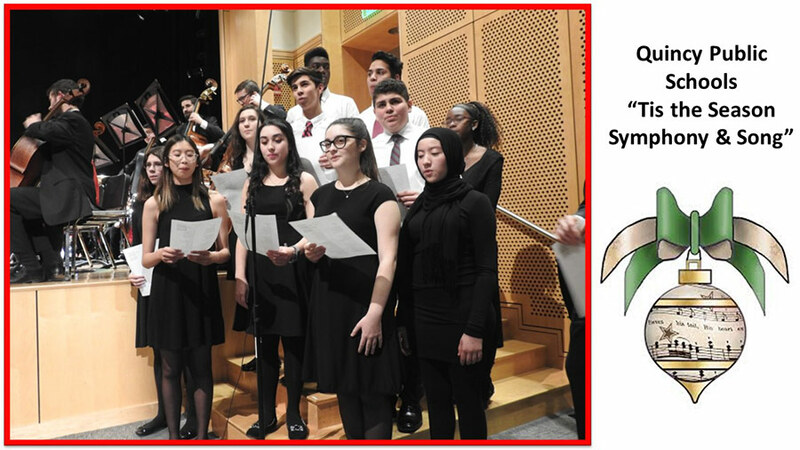 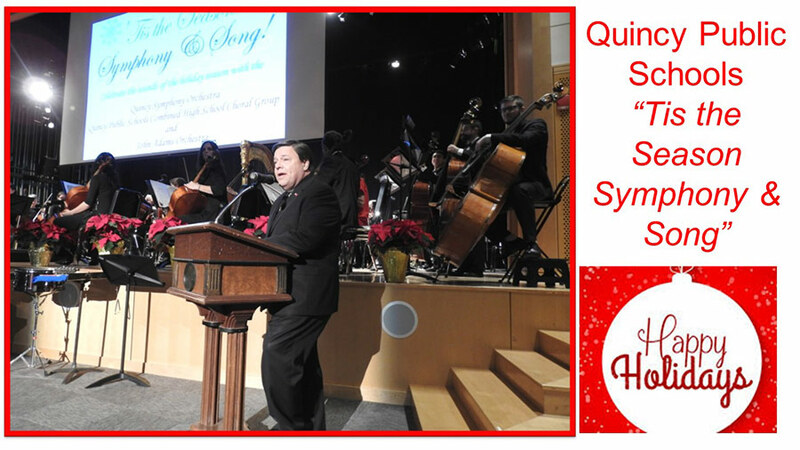 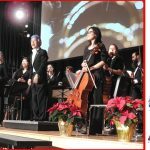 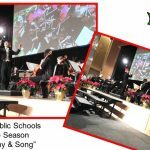 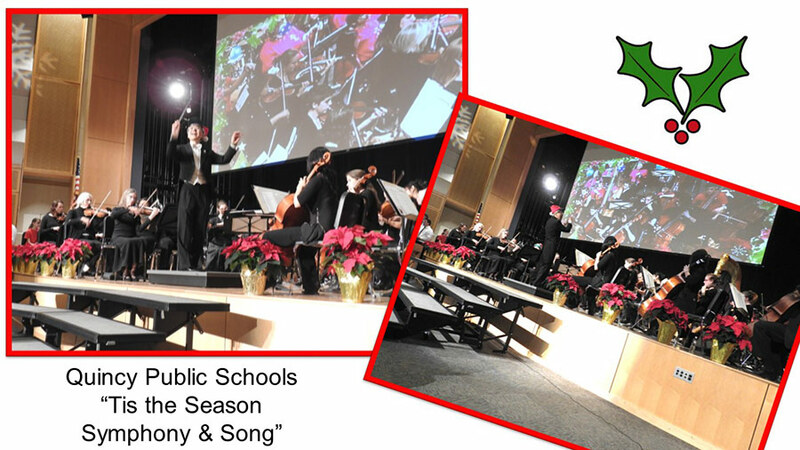 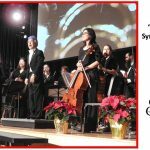 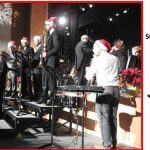 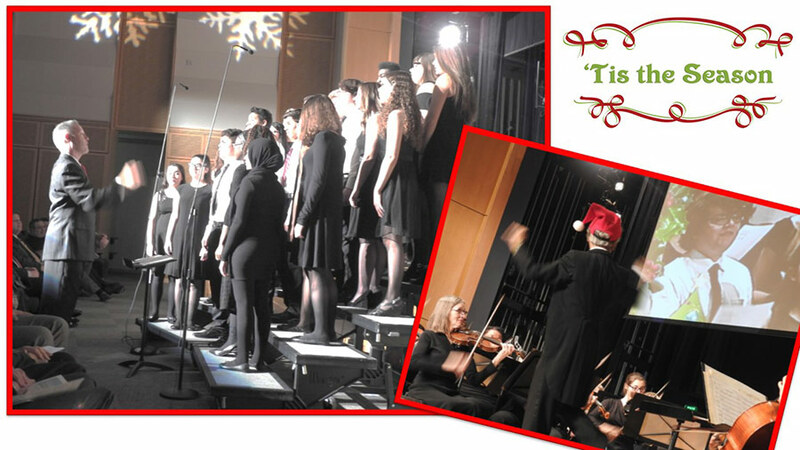 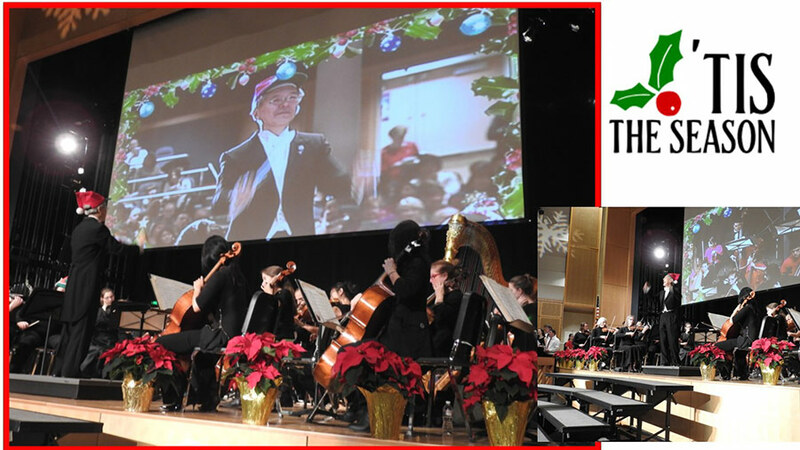 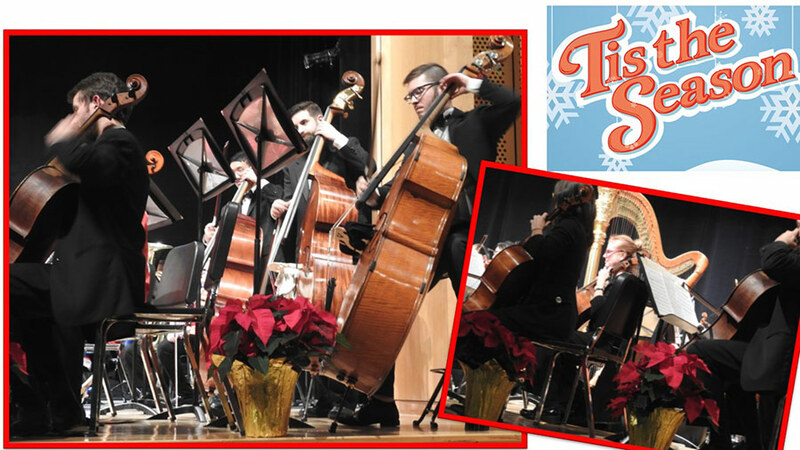 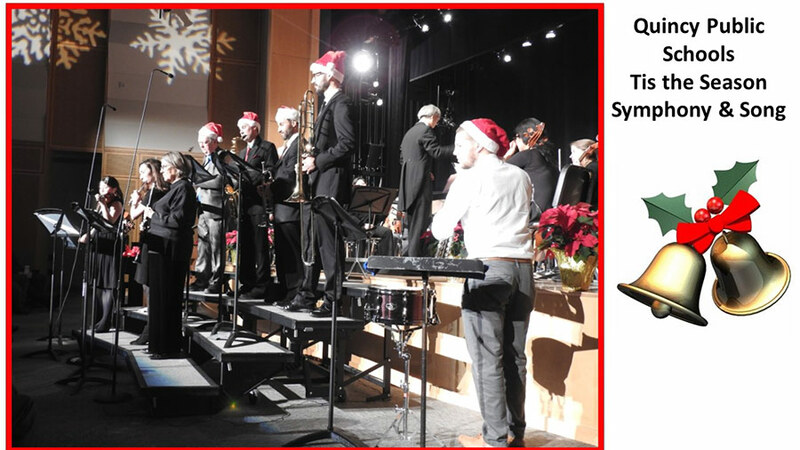 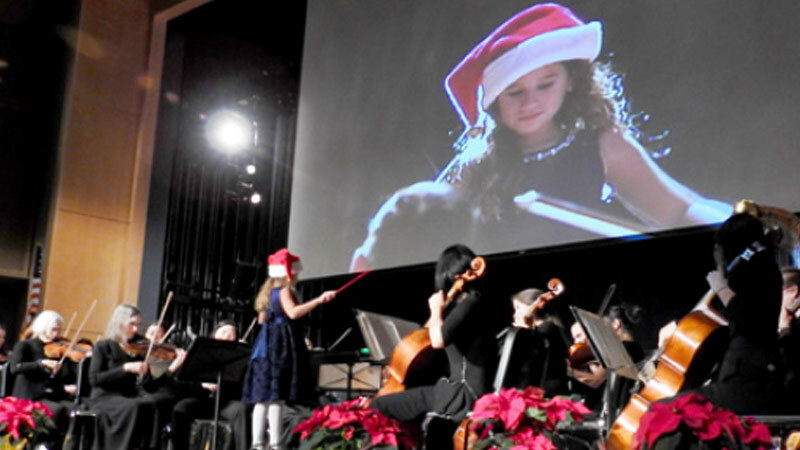 The Quincy School Community Partnership’s 17th annual ’Tis the Season…Symphony and Song, featuring the Quincy Symphony Orchestra, Quincy Public Schools John Adams Orchestra and the Combined High School Choral Group, once again ushered in the holiday season to a sold-out crowd. 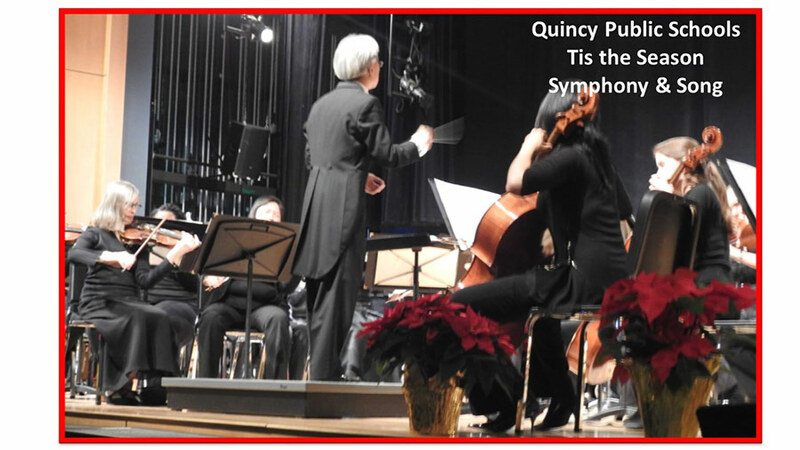 Special thanks to the following Quincy School Community Partners who generously donated approximately 250 tickets to the performance, allowing many Quincy Public Schools students to attend! 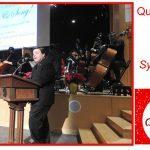 Attorney George G. Burke, Wessling Architects, Boston Scientific, National Fire Protection Agency, Quincy Credit Union, Quincy Education Association, National Association of Government Employees, Quincy Mutual Fire Insurance, General Dynamics/Bluefin Robotics, MountainOne Bank, Quirk Auto Dealers, Callahan Construction, and Arbella Insurance.